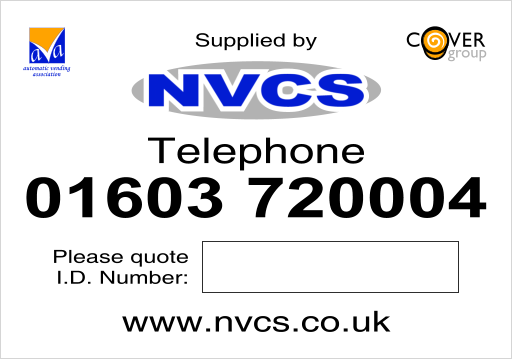 Complete the form below and we will get back to you with a free no-obligation quote. Alternatively, call us on 01603 720004 and choose Option 3. Your machine ID number (usually a four digit number) can be located by finding the machine’s ID label, examples shown below. 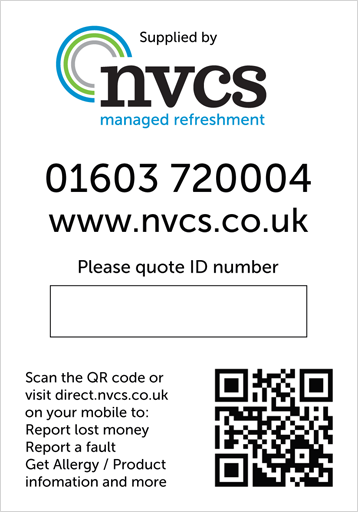 The label will be displayed on the outside of your machine in a prominent place. If for some reason the label isn’t present, please call us on 01603 720004.